Most marketers have been guilty of creating strategies or campaigns targeting a whole generation of people the same. But are all millennials alike? Do all baby boomers think the same? Are all Gen Xers buying the same products? Most millennials focus on living an exciting life, but older and younger millennials differ in where they shop and what they buy. Younger and older Generation Xers are drastically different, starting with younger Gen Xers still raising children and older Gen Xers living as empty nesters, right down to the values and motivations that drive their daily decisions. Baby boomers make decisions based on their daily priorities of obeying laws and fulfilling obligations but have important nuances in their product and retailer preferences. 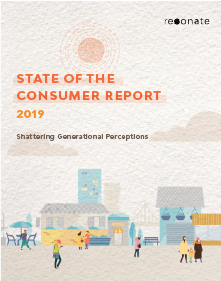 Download your copy of the State of the Consumer Report 2019 and start developing new strategies for connecting with all of the humans in each of today’s generations.